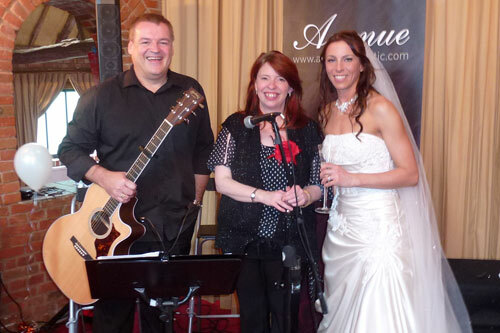 Avenue is one of Norfolk’s brightest live bands for weddings, corporate events, parties, dinners, conferences, receptions, awards and ceremonies. We bring an acoustic twist to corporate events entertainment, providing a live party band that takes up less space and that doesn’t drown out your guests, unlike larger wedding bands. 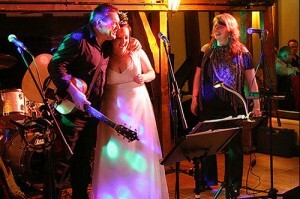 As wedding entertainers in Norfolk and the east of England, it’s always a privilege to be asked to be part of your special day. 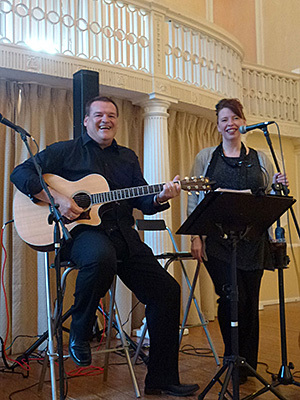 We’ve both performed at many weddings over the years, and always look forward to discussing ideas and helping you decide what and when you’d like us to play. We can perform during your ceremony, with songs of your choice as you enter or leave, or during the signing of the register. 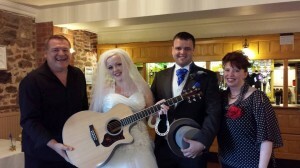 We help create a relaxed mood as guests arrive at your reception, and play tasteful background music during the wedding breakfast and livelier songs for your early evening entertainment. Our normal evening performance time of around two hours can be broken down into two or three sets, with background music played over the PA during intervals. Live music can be a sophisticated addition to any private party, dinner, reception, ceremony or business event. We can play in the background during the event, while you greet your guests, during your meal, or between presentations and speeches. Let Avenue help create the right atmosphere for that special occasion. Our previous corporate clients include Marks & Spencer and Media Aspect. Although plenty of people dance to Avenue, we can also play a selection of suitable tracks over our PA if requested. It’s a cost-effective way of providing your guests with both live music and a party night, without the additional cost of a DJ or band. For larger occasions we help arrange a package with additional entertainment at various price points. 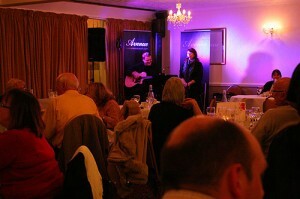 For example, Avenue can perform in the afternoon and/or early evening, and a full band or DJ can take over after dinner. Marcia and Laurie both play in a suitable party bands, and we have contacts with other musicians and entertainers if you’d like recommendations or a single point of contact. We’re based in Norfolk, and travel as required throughout Suffolk, Cambridgeshire, Essex, Lincolnshire and further afield. We create a relaxed atmosphere, but take a professional approach to all our engagements. We dress appropriately for the occasion and are courteous, reliable and prompt. We are self-contained, and use a very compact top-of-the-range PA unit, giving hi-fi quality sound and a wide spread specially tailored for smaller venues. Our equipment is PAT tested and we have £10 million public liability insurance.